Pfizer, the Bill & Melinda Gates Foundation, and the Children’s Investment Fund Foundation (CIFF) have announced a multi-year extension of their collaboration to further broaden access to Pfizer’s all-in-one injectable contraceptive, Sayana Press (medroxyprogesterone acetate), for women most in need in some of the world’s poorest countries. Sayana Press will now be available to qualified purchasers at a guaranteed price of US $0.85 per dose, a reduction from the previous price of US $1.00 per dose. A consortium of organisations from the public and private sector first collaborated in 2014 to assess demand for Sayana Press. Initial pilots conducted in Niger, Senegal and Uganda demonstrated strong demand for Sayana Press among younger women: up to 34% of doses administered across these three countries were to women between the ages of 20 and 24. Sayana Press is also attracting women who have never before used contraceptives, with 24- 42% of doses given across the pilots received by new users of family planning. By working together to expand the range of contraceptive options available, more women in more countries have had access to Sayana Press every year. By the end of 2016, 6.4 million units of Sayana Press were shipped to 20 developing world countries, potentially reaching more than 1.5 million women – up from 350,000 women at the end of 2014. Pfizer is continuing to make investments in its manufacturing facilities to meet the expected increase in market demand. “Our hope is that more women in the developing world will now have access to Sayana Press, as an option, to meet their specific family planning needs,” said John Young, President, Pfizer Essential Health. Sayana Press combines a longer-acting, reversible contraceptive with the BD Uniject injection system developed by BD (Becton, Dickinson & Company). This all-in-one prefilled, single-use, auto-disable system eliminates the need to prepare a needle and syringe. It also allows the contraceptive to be administered by a health worker outside of a clinical setting, or it can be self-injected if approved locally and after health care worker instruction. 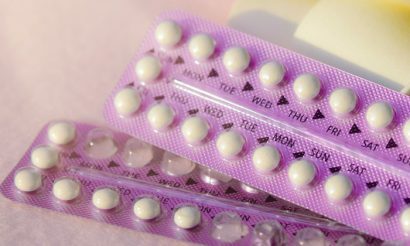 The unmet need for contraception remains high. An estimated 225 million women in developing countries would like to delay or prevent pregnancy but are not using any method of contraception. Common reasons for this include difficulty travelling to health facilities, social barriers, and lack of knowledge around what contraceptive methods are available. Because of its unique contraceptive delivery technology – enabling the product to be compact, discreet, and easily transportable – Sayana Press can be provided in low-resource, non-clinic settings, potentially transforming the way in which women can access and receive their preferred method of contraception. Several global efforts are underway to expand voluntary family planning services and contraceptive options for women in developing countries, so they are able to time and space their pregnancies. This commitment is a central focus of Family Planning 2020, a global partnership to ensure that by 2020, an additional 120 million women have the ability to access and voluntarily use a method of modern contraception. According to the 2016 FP2020 progress report, for the first time, more than 300 million women are using modern contraceptives across the 69 countries where progress is measured. As a result, an estimated 82 million unintended pregnancies were prevented and 124,000 maternal deaths were averted between July 2015 and July 20165. “Contraceptives are highly cost-effective health investments which save lives. If every girl and woman who wanted to use modern contraception was able to, we could prevent 170,000 maternal deaths and around 1.6 million newborn deaths each year. The sub-cutaneous injectable contraceptive is an important innovation, which can reach new and younger users who often face high barriers to accessing comprehensive choices. Increasing access and choice of affordable contraceptives are crucial parts of this important collaboration,” said Alvaro Bermejo, Executive Director at the Children’s Investment Fund Foundation. The consortium of public- and private-sector donors and aid organisations supporting this effort includes BD, the United Kingdom’s Department for International Development (DFID), UNFPA, the United Nations Population Fund, and the United States Agency for International Development (USAID). These organisations play an important role in ensuring that women in the world’s poorest countries have access to a full range of contraceptive options. In addition to assisting with procurement, this consortium supports country introductions and the delivery of a range of high quality modern contraceptive options, including subcutaneous injectable contraceptives. At the country level, the organisations also work with local governments with the goal of including modern contraceptives in reproductive health plans and budgets, coordinating health-worker training to improve quality counselling and services, and raising awareness about the availability of a variety of modern contraceptive options.